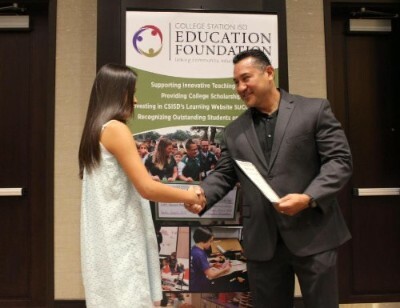 The College Station ISD Education Foundation awarded 55 scholarships totaling $59,000 at its annual scholarship reception on May 16th. Recipients are graduating from either A&M Consolidated High School or College Station High School. This is an annual event to highlight our innovative teaching grants in the classroom. 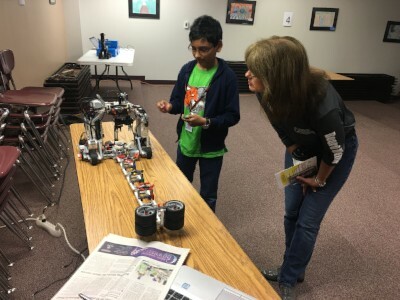 The 2018 Grant Showcase was held on Tuesday, March 28, 2018 with tours at College Hills, A&M Consolidated Middle School, and College Station HS. The event was a huge success as we raised over $220,000 to support innovative teaching grants, scholarships, Success 24/7, Pre-K/Head Start book voucher program and Chrissy's Closet.